This summer a team will be traveling to Ecuador. On past trips our church has helped provide shoes to the needy, build houses, provide medical care, taught our Carpenter Series to the people and made great connections with our missionaries who we support in Ecuador. This year we have a medical team that will be offering help and hope where there is none. Please keep our team in your prayers as they start to prepare to go to Ecuador. 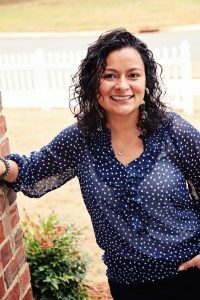 Katty is the founder and director of One Heart Global Ministries, an organizations birthed out of a deep desire to see her people know the love of Jesus and to feel His presence in their lives. She has committed her life to serving Jesus and her people by teaching and training them in the Word of God and bringing in focused teams from the United States. These teams are showing the love of Jesus by providing natural and spiritual support to needy people. The Ecuadorean military often works with the teams allowing them access into areas not usually available to teams. Katty Aguirre is a native Ecuadorean who grew up on the the border of Columbia and Ecuador. She was exposed to danger and violence every day. Kattygrew up feeling rejected, and struggling to survive and meet the most basic of natural needs. After many long and difficult years living in these circumstances, she was introduced to the message of the Gospel. In recent years, God has blessed us with the the amazing opportunity to travel to Haiti, and this year He has once again called us to minister to His people there. Coming up in March, with a team of just over 20, we’re partnering with Praying Pelican to work on several different projects in the south of Haiti. As most know, Haiti was once again hit by a hurricane, so the team will be doing relief work. They will be rebuilding a school, planting trees, clearing debris, and even working in a school to teach children English and Bible lessons. It is going to be amazing to once again serve the great people of Haiti and bring glory to God’s name. We will be doing trip updates and trip reports during and after the trip, so keep an eye out for those!